If you and your children love the excitement of the Big Top, you'll adore the atmosphere of this hotel. Circus-Circus Hotel Las Vegas is a family-oriented casino hotel comprised of three multi-story towers connected by a sky shuttle. It is not the most luxurious hotel in Vegas, but it's pretty convenient if you are looking for something that balances family friendly and "Vegas Crazy." 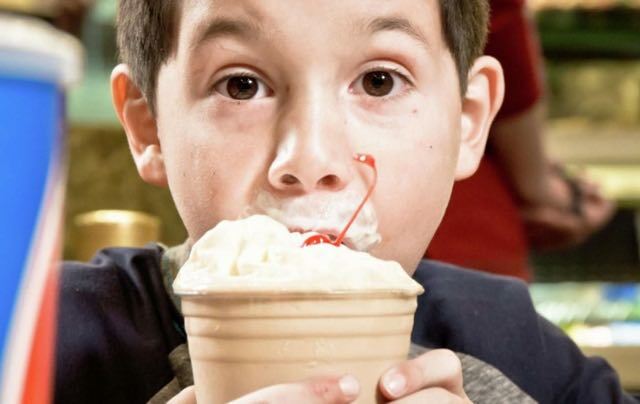 With everything from restaurants to casinos to an indoor theme park, Hotel could potentially keep you (and your kids) busy for an entire stay in Las Vegas. Hotel is the fifth largest hotel in the world, and features America's largest indoor theme park, The Adventuredome housing the world's only double-loop indoor roller coaster. If your kids like photo moments they'll love Buffalo Old Time Photo Co located on in the 40,000 square foot shopping Promenade. Dress the part and take the spirit of the old west home with an old time photo - it'll be ready in just minutes! Near by is Las Vegas Popcorn and Ice Cream which will satisfy your sweet tooth with hot, fresh, gourmet popcorn and tasty ice cream. Adventuredome is one of the largest amusement parks in the country and the only full scale one of its kind on the Las Vegas Strip. Five acres of clean indoor fun await your family, including some 25 thrilling rides to choose from plus a slew of other activities to get your adrenalin rushing like bungee jumping and rock climbing. 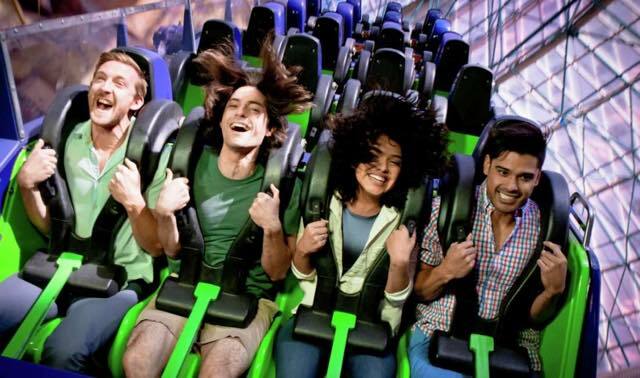 Adventuredome also offers also plenty of tamer activities like arcade games, miniature golf and two 4D-theatres, in other words, something for everyone. Splash Zone is the Circus-Circus Hotel new swimming complex and it's HHUUUUGGGEEE! 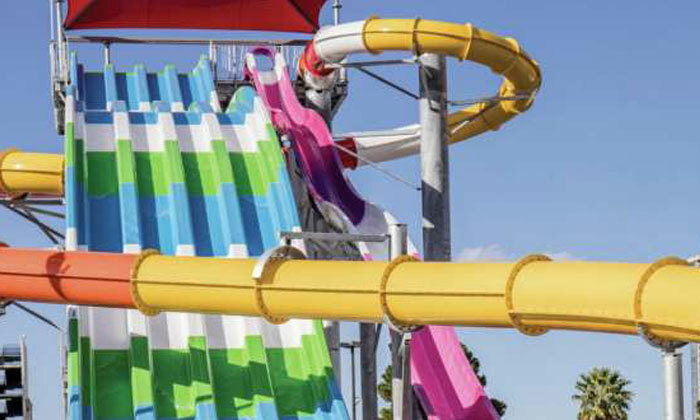 At an acre in size, Splash Zone features two swimming pools a hand full of whirlpools a 50 foot slide tower featuring three slides (must be 42” or taller to ride) and a water playground with water cannons, spill buckets, rain trees and even a Splash Snacks food truck. Children under 6 must be supervised by an adult. And, of course, everyone should be prepared to get absolutely drenched! Splash Zone is open from 9am to 5pm daily and available only to Circus Circus current hotel guests. Cabanas are availble starting at $100 daily and includes lounge chairs, straight-back chairs, ceiling fan, TV, mini-fridge, safe and storage cabinet. Cabanas seat up to four people. Step right up, folks, to the fun and games of the world famous Carnival Midway at the Circus-Circus Hotel. Kids of all ages will enjoy playing America's favorite games which never go out of style. The Midway surrounds the circus stage and offers dazzling array of exciting games the whole family will enjoy. Whatever game you play, you'll have a chance to win fantastic prizes. 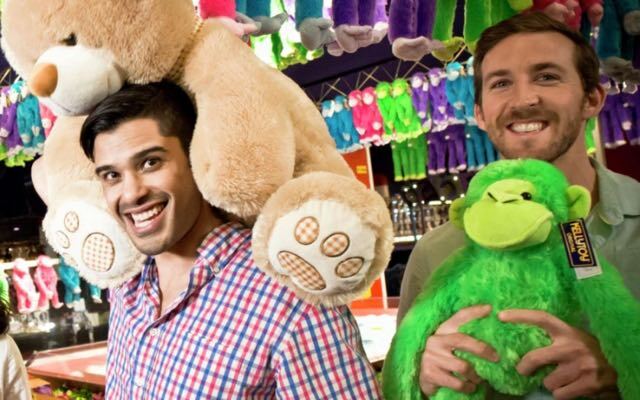 Don't forget about the state-of-the-art electronic arcade, also located on the Midway. With 200 of the most popular games, you'll have plenty to keep you entertained. Choose from the hottest new titles or the classics that you've always enjoyed. For one of the best entertainment values in Las Vegas, look to the center stage of the Carnival Midway where Circus-Circus presents the world's largest permanent circus with free, live acts every day! Performances start at 11:30 a.m. daily. In the not too distant past Circus-Circus was fairly isolated from the other Strip hotels and amenities, but those days are history. These days there's quite a bit of eating and shopping within easy walking distance from the hotel. Neighboring Circus-Circus (south) is Slots O Fun, a casino mostly reserved for adults featuring slot machines, darts, pool tables, and Nathan's Hot Dog outlet. At the front entrance of Slots O Fun you'll find a Subway sandwich and Nobles Roman Pizza shared outlet offering a change of pace from hotel buffets and mega restaurants. Also near by is a freestanding McDonald's that is quite busy and loud with local teenagers during weekend evenings. Continuing south on Las Vegas Boulevard you'll find a Ross Dress for Less and a 24-hour Walgreens, a good option if you need to pick up a small item, diapers or medicine. A 24-hour 7-Eleven and Denny's restaurant are situated between Ross Dress for Less and Walgreens. If you plan to stock your hotel room with basic foodstuff Century Food Mart is located just past Walgreens on the corner of Las Vegas Boulevard and Convention Center Drive. To the north of Circus-Circus is Hilton Grand Vacation Suites, a non-smoking, non-gaming hotel with full kitchens and washer/dryer units. From here you can catch a Deuce bus for easy and air-conditioned travel to all parts of the Strip. 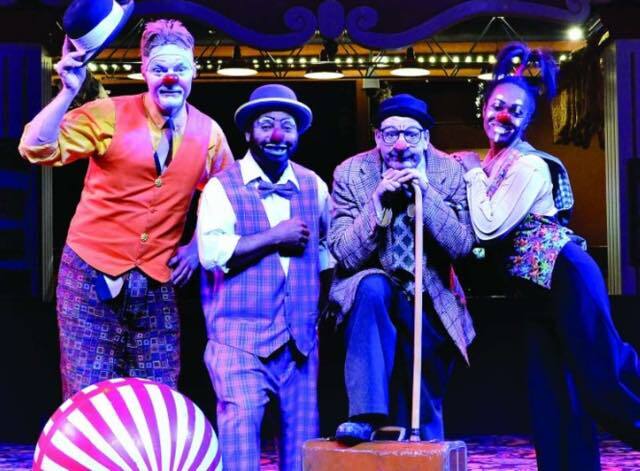 Circus-Circus does not provide on-site childcare or babysitting and the hotel does not specifically indicate that they will arrange for a babysitter. We suggest you visit our Las Vegas hotel child care page for more information on this topic. Circus-Circus offers eight full-service restaurants including the Circus Buffet, one of the largest buffets in Las Vegas and open for breakfast, lunch and dinner. THE Steak House offers 21 day aged steak. Want food on the go? Try the Pizzeria or the great Mexican fare at Blue Iguana Authentic Mexican Cuisine. A favorite dining spot for the after Adventuredome crowd is The Garden Grill, a classic American food joint located on the Promenade Level across from The Adventuredome. It serves favorites such as burgers, wings, ribs and pizza. We can't call Westside Deli an authentic deli, but a good deli with great values it certainly is, and it's open 24 hours. At the Horse-A-Round Snack Bar you can enjoy a chili & cheese dog and sip on lemonade while riding a merry-go-round and watching live circus acts at the same time! Who doesn't love a bagel? Barista Bagels and More offers over a dozen types of bagels to satisfy most cravings. Las Vegas Popcorn and Ice Cream Co. When you're hankering for popcorn and ice cream, Las Vegas Popcorn and Ice Cream Co. at Circus-Circus has got you covered with an good selection of both. There is a daily resort fee of $36.28 added to the cost of all rooms (this fee is not included in your reservation and will be collected by the hotel). This fee is fixed, that is it is not a fee per person. The fee covers Wi-Fi service, access to the fitness center, and local and domestic long distance phone calls. Occasionally one can find resort fee coupons online. There are a few things you'll want to know before booking a room at Circus-Circus, tips you definitely won't see on the hotel website Let's start with which rooms to book. Circus-Circus is absolutely enormous. There are multiple buildings that make up the hotel and some are better than others. Want peace and quiet at night? Ask for a room as high up as possible in one of the towers. Don't want to do a lot of walking? Pick the tower closest to the attractions you are most interested in. Overall, Circus-Circus is a great value for the budget-conscious family. A member of the Code Adam program, it is a safe place for kids to run around without constant supervision. A classic Vegas experience, it's also a great place for parents to run around without worrying about their kids. If you decide to spend your time at Circus-Circus, let us know how you like it.